This is tips on how to keep a healthy heart. This is part of Institute Jantung Negara's initiative in educating and providing tip about the heart. HOW ADMISSION IS DONE AT IJN? At Institut Jantung Negara we take utmost care in handling all our patients. This video elaborates on how our admission processes work. Our goal is to help you get settled and feel comfortable as quickly as possible. We Welcome all patients with a warm a smile and make sure they are taken care well. Does Heart Failure Change with Time? 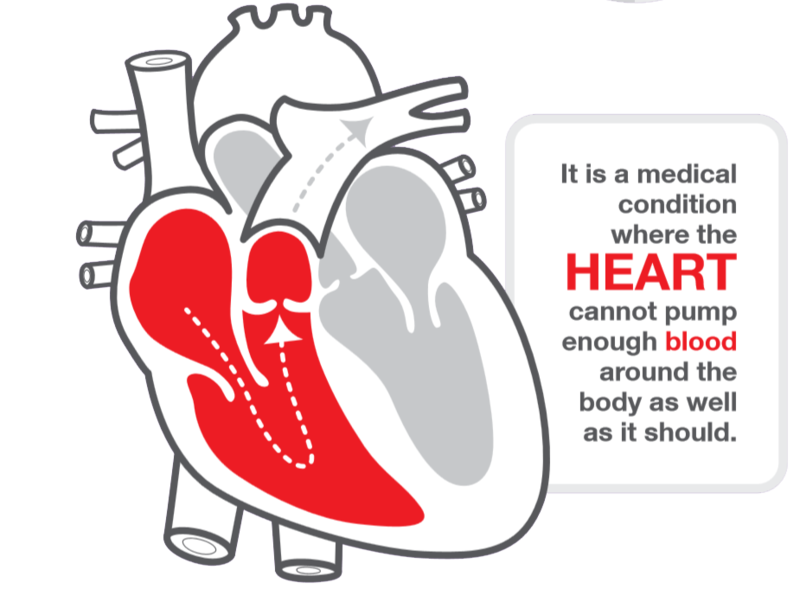 Heart failure is a debilitating and potentially life-threatening condition, affecting around 26 million people worldwide - however few people fully understand heart failure. Heart failure can develop at any age but becomes more common with increasing age. Less than 1% of people under 65 years of age have heart failure, but this can increase to more than 5% in people over the age of 75 years. In most cases, heart failure does not have a single cause - there are a number of conditions that may damage your heart and that could lead you to be diagnosed with heart failure. Watch your symptoms closely and take them seriously. If your symptoms change or get worse, do not wait to see if the symptoms will go away. Go to the nearest hospital or come to the Emergency Department of IJN. Frequent coughing or wheezing which may get worse at night. Some heart failure patients who have been doing well may worsen and develop more symptoms. This worsening can be triggered by infection, poor kidney function, lack of blood (anemia) or abnormal heart rhythm. Treating these triggers can result in the heart failure getting better. If patients stop their medications or do not follow the treatment plan, this can also cause worsening of heart failure. Heart failure affects patients differently. Some patients have heart failure affecting mainly the left ventricle (main pumping chamber of the heart to the body). This leads to breathlessness as blood from the lungs which normally enters the left ventricle builds up in the lungs. Some patients have heart failure affecting mainly the right ventricle. This leads to reduction in blood flow from the veins into the right ventricle, resulting in congestion in the liver, abdomen and accumulation of fluid in the legs and ankles. Some patients have HF affecting both ventricles and will have symptoms due to both left and right ventricle failure. If there is suspicion of HF from the symptoms and physical examination, additional tests may be helpful. These include ECG, blood tests, chest X-ray and echocardiogram. These tests may not need be repeated for subsequent visits. Other specialized tests may be useful to find out more about HF or its cause. Heart failure is a chronic condition that tend to gradually worsen with time. It can shorten a patient’s life. In many cases, it remains stable for some time (months to years) if patients are taking treatment properly. Careful treatment and lifestyle changes can improve symptoms and prolong life. Many people with heart failure can lead normal active lives because they have LEARNED TO TAKE GOOD CARE OF THEMSELVES. They (or you) can TAKE CONTROL by understanding and carefully following the treatment plan. It is important to monitor all your symptoms on a regular basis. This document is a quick reminder / reference of symptoms that you / family members should look out for to decide if you should go to the nearest hospital / IJN immediately. Severe and persistent shortness of breath / increasing shortness of breath (SOB). Frequently waking up at night due to SOB or needing more pillows to sleep comfortably. Persistent chest pain,rapid heart beat or palpitations. Rapid weight gain of more than 1.5 - 2kg. in 1 - 2 days. Increasing swelling of the legs or ankles, abdomen. Increasing fatigue,loss of appetite / nausea. Worsening cough with pink - stained sputum. Managing fluid intake in heart failure. Smoking narrows your blood vessels thus making your heart work harder to pump blood through your body. It will make your heart failure worse. Also stay away from people who smoke so that you avoid any second-hand smoke. 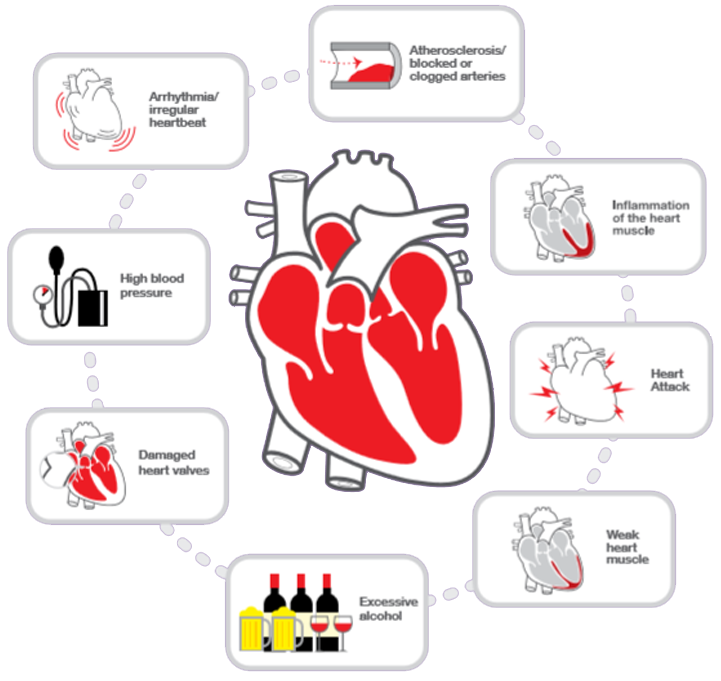 Alcohol makes it harder for the heart to work. Regular exercise is essential for Heart Failure patients. Exercise will slow down the progress of your disease, prevent weakness and gives you more energy to cope with activities of daily living. To achieve maximum benefits, you should gradually work up to an aerobic session lasting 20 to 30 minutes, at least 3 to 4 times a week. What If I Can’t Do 20 or 30 Minutes of Exercise? Everyone has to start somewhere. As such, even if you start with intermittent 5- minute walks, and 5- minute breaks and at a slow pace, it is alright. Over time, string the exercise together, take less breaks and increase your pace and duration gradually. Flexibility exercises (e.g. stretching, tai chi and yoga) Cardiovascular or aerobic exercises like walking, jogging, bicycling (stationary or outdoor), and low-impact aerobics or water aerobics. Do things you enjoy like reading, painting or listening to music. Write down how you feel. Putting your thoughts on paper can help you feel better. Go for a walk or get exercise. Spend time with caring friends, family or a support group. Learn to manage your time better. Don’t take on too many things at once. If you can, avoid stressful settings, like rushing to appointments or sitting in heavy traffic. Meditate or do breathing exercises. Got a question? Let's discuss about heart failure. Post a question to get a solution. Join the DISCUSSION FORUM. Open to all.